Five Little Pumpkins Sitting on a Gate is a kindergarten classic. Instead of the standard Halloween treat, turn this fun poem into a classroom handout using this Five Little Pumpkins Halloween printable bag topper. It is a beautiful thing when literacy and fun collide. 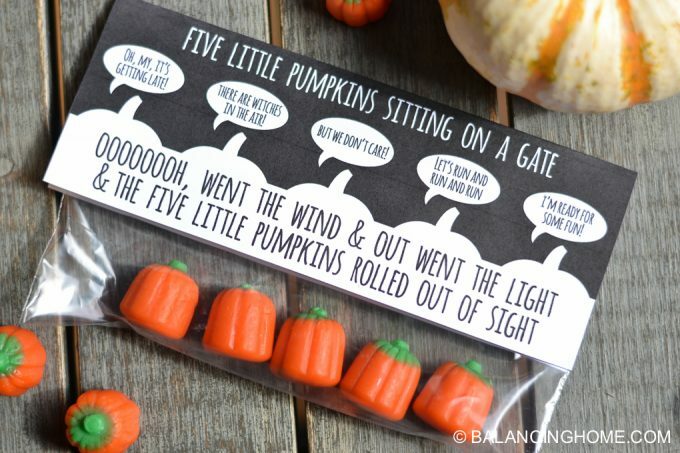 This Five Little Pumpkins Sitting on a Gate Halloween printable will certainly be a hit this Halloween. The first time I heard the Five Little Pumpkins poem was during a story time at the library. The librarian had the cutest finger puppets and the kids really enjoyed it. As a result, I fell in love with this fun pumpkin poem. Also, find the board book here. 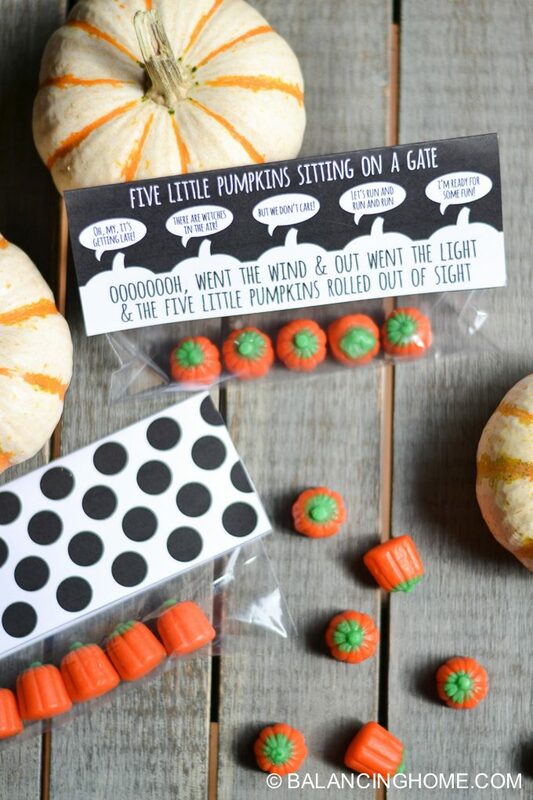 The Five Little Pumpkins printable front is decorated with cute little pumpkin silhouettes. Each pumpkin has a conversation bubble with a coordinating line from the poem. The back of the Five Little Pumpkin bag topper is black and white polka-dot. This is black and white design, therefore making it friendly for school printing and copying. 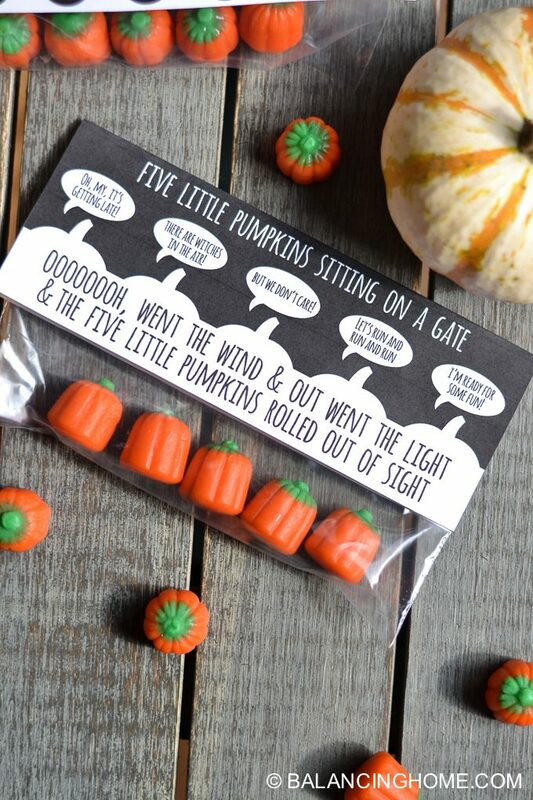 The Five Little Pumpkin printable bag topper is laid out with two printing to a page, consequently using less paper. At the bottom of this post you can fill out the Five Little Pumpkins form and a pdf will be sent to the email address used in the below form. Unfortunately, we are unable to make edits to this printable. If you have difficulty opening the PDF, please use a different browser. This printable was designed for personal use and is the creative property of Balancing Home. As previously mentioned, the Five Little Pumpkins bag topper will print on a standard 8.5×11 page with two bag toppers on a page and will include crop marks for your convenience. First of all, Congrats! You are on your way to creating one awesome Halloween treat! Now that you have acquired your Five Little Pumpkins bag topper and printed it off, it is time to start assembling your Halloween treat bags. Second, using the crop marks present on your sheet, cut the bag topper out. Third, choose a bag. Ziplock bags work really well. In the Five Little Pumpkins photos I used the snack sized bag. Fourth, use any of the Five Little Pumpkin bag filler options listed below. There is sure to be a treat option to fit your needs. Five Little Pumpkin treat options include: store-bought, individually wrapped, homemade, non-food treats and even a craft! Fifth, add five treats to a bag and seal the bag. Sixth, take the printable Five Little Pumpkin bag topper you’ve acquired, printed and cut out. Finally, place the top of your treat bag in between the folded bag topper. Finally, using the adhesive of your choice (I recommend this one) or a stapler, attach the Five Little Pumpkins bag topper to the bag. To play off of the, Five Little Pumpkins Sitting On A Gate poem, I put five of these little pumpkin candies in the bag. Homemade delicious Oreo truffles dipped in orange with a pretzel stick for a stem. 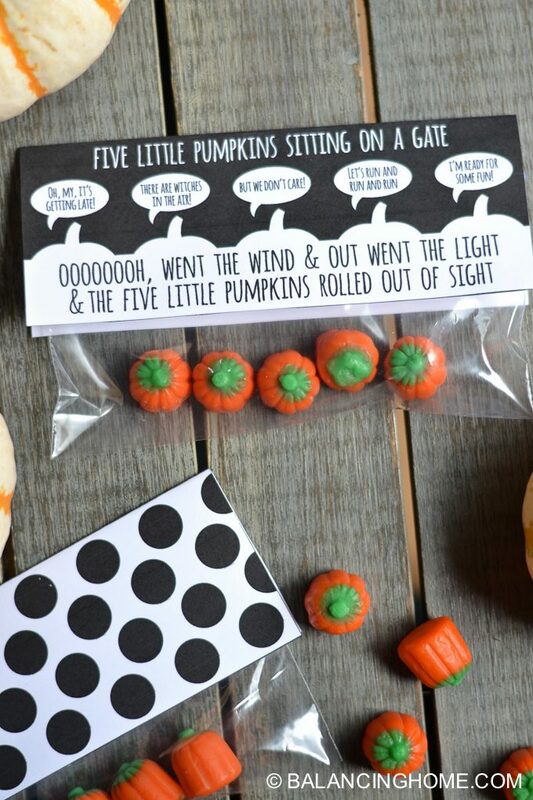 Five Little Pumpkins Sitting on a Gate Halloween Printable is the perfect little classroom treat. 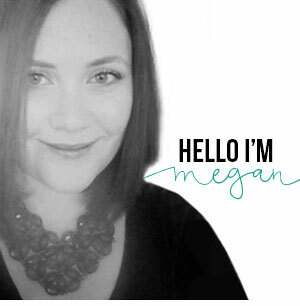 It certainly brings an element of literacy to the fun and is completely customizable to fit your needs. Furthermore, it always feels good to have the treat that stands out. The special touches have a way of making everyone feel special. 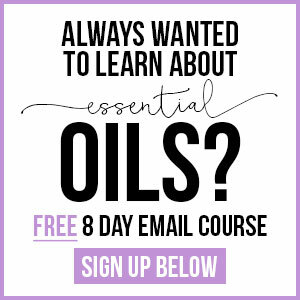 Use this printable? Tag us on social media. We love seeing how you use our printable! It makes the whole process worth it. 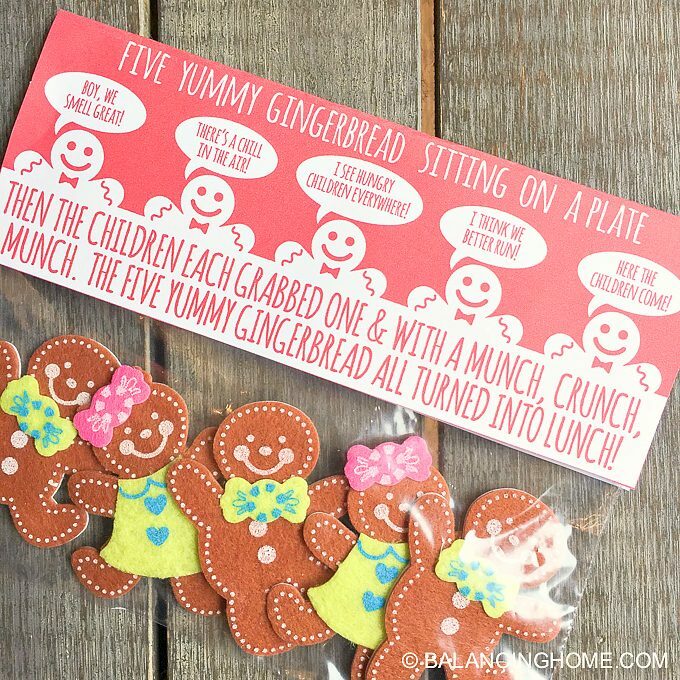 *also, be sure to check out our Five Yummy Gingerbread printable bag topper.